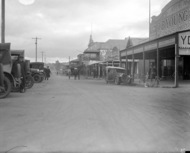 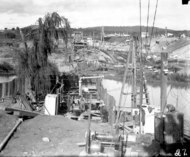 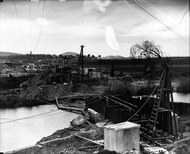 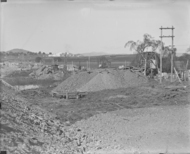 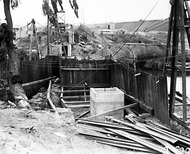 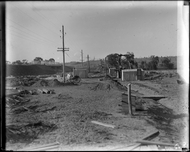 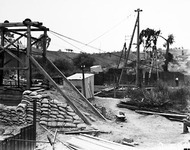 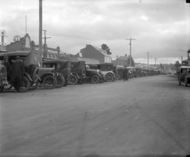 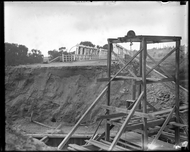 Sewerage excavations in Molonglo river bed near Commonwealth Avenue Bridge. 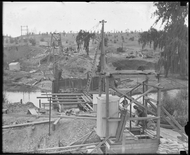 Sewerage excavations near Commonwealth Avenue Bridge. 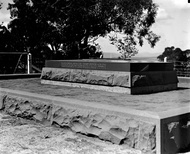 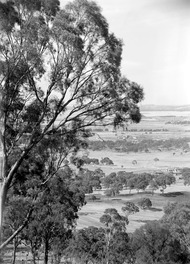 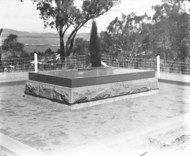 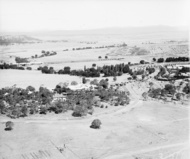 View from Mt Ainslie showing Anzac Parade, St John's Church, Parliament House, Hotel Canberra, Commonwealth Bridge and Scotts Crossing. 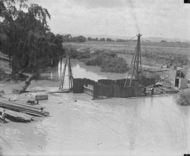 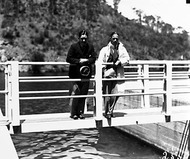 Sewerage tunnelling near Commonwealth Avenue Bridge with the Molonglo River in flood. 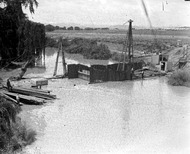 Floodwaters at Acton Crossing with horse and gig being lead across the bridge.